Legendary producer Kevin ”Caveman” Shirley put the rock guts back into Rush in the 1980s when they started to get too keyboard and synth oriented. Guitarist Alex Lifeson was asked to ditch the reverb and Neal Peart the electric drums. The problem being addressed was strikingly clear and indicative of the Eighties. “The songs had no “balls,” Shirley said. 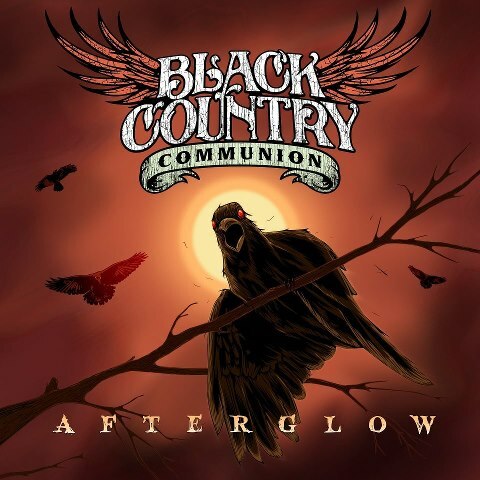 “They were thin so I was hell bent on making a heavy record.” No such issue befalls his Black Country Communion project. The Anglo/American hybrid is unfairly stacked with talent even by supergroup standards. 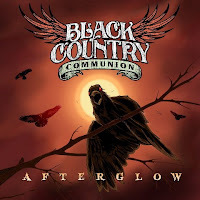 With Zeppelin, Sabbath and Deep Purple in its bloodline, their latest release “Afterglow” is all balls; blunt force blues/rock trauma from both sides of the ocean. Fellow Brits Jason Bonham and Glenn Hughes combine forces with guitar legend in the making Joe Bonamassa and Dream Theater’s Derek Sherinian for a hard rocking experience rarely seen since its golden age in the early Seventies. Like its predecessors, the 11 track compilation starts out with a bang and then keeps exploding for another 53 minutes as Bonham channels his inner Zeppelin alongside Hughes’ massive vocals and Bonamassa’s scorching Les Paul. It’s difficult to label BCC. Part English, part American, part rock and part blues. It doesn’t really matter how they are categorized. If you’re looking for a classic hard rock experience, there is no need to sort through your vinyl collection.